In real life am a late 50sh year old, male, Christian and unrepentant furry out of Portland Oregon. A Furry is simply a fan of Anthropomorphism, giving animals and objects human characteristics, for example Tony the Tiger and Hello Kitty. For me Furry Fandom was the gateway for me to become a Hello Kitty Junky. Hello Kitty and Friends are 101% Anthro. My fursona name is Acton Rand Shaffer, an anthropomorphic Black Bear who like politics and the finer thing in life My other interest includes learning to draw and Science fiction. I was smitten by the kitten when I started to collect plush animals and my interest in all thing anthropomorphic. 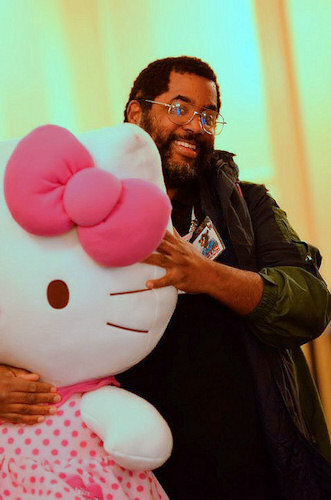 I was looking at a hello Kitty Plush I kept from a successful store liquidation stock I sold on EBay. I thought why not.